Check out the 1/19/2012 issue of the Loomis News Grant catapults Del Oro students to see how Del Oro High School students are exploring Science, Technology, Engineering and Math (STEM) and benefiting from a partnership with the Sierra College Center for Applied Competitive Technologies (CACT). 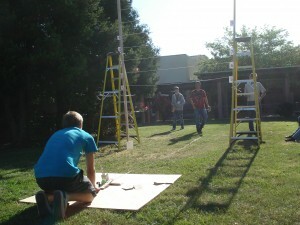 The students built Tech-Explorer catapults in a hands-on learning experience that introduces product development careers. Del Oro High School students in Loomis may never have considered how products such as phones, sun glasses and cars are designed, produced and sold. After building the Tech-Explorer catapults, developed by Sierra College in Rocklin, CA through grant funding, freshman in the Tech Essentials class discovered new skills and explored careers in design and product development. 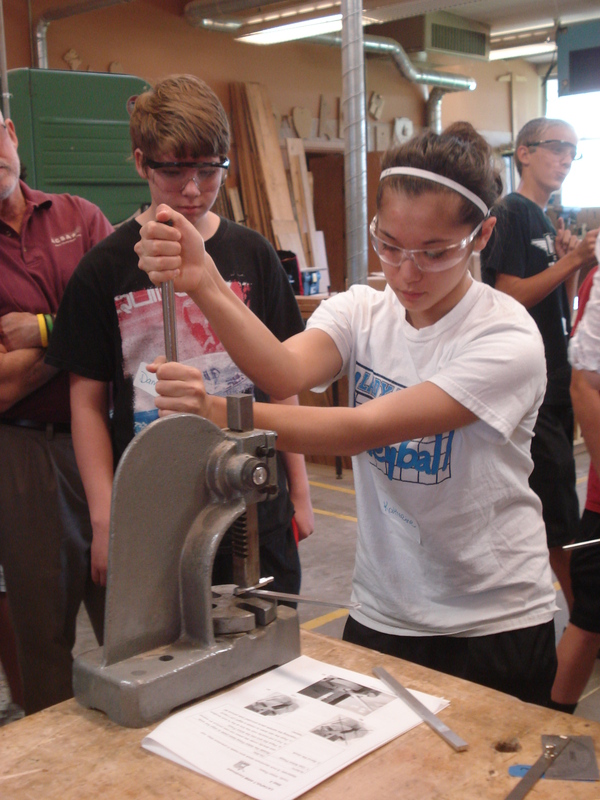 Taylor Schumann uses a heat gun to shrink wrap the handle that releases the Tech-Explorer catapult. 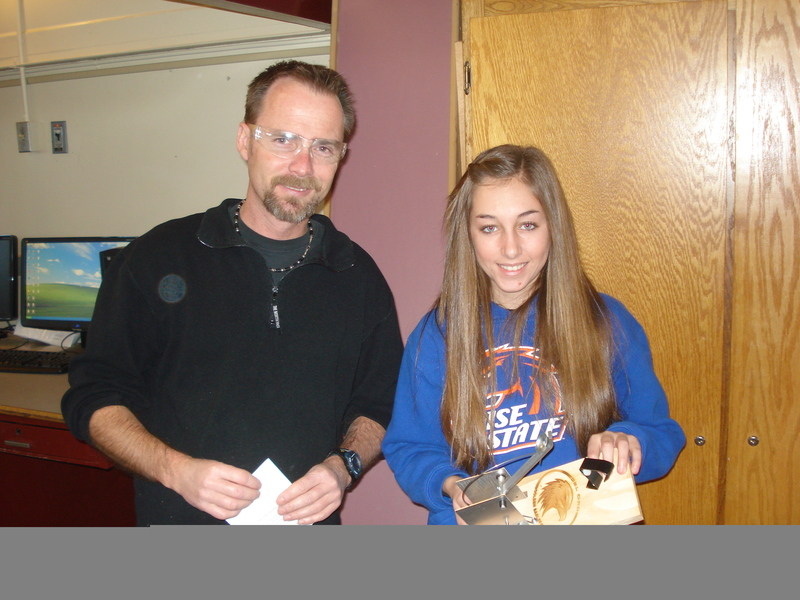 Mackenzie Miller was the first student to complete building her Tech-Explorer catapult. She credited her Dad for introducing her to tools and making her feel confident building projects. Daniel Gayaldo, Principal, Del Oro High School says that the school has benefited from the Sierra College STEM Collaborative (www.sierraschoolworks.com). Through the partnership with Sierra College, teachers had professional development opportunities, consulted with college faculty and went on externships at manufacturers. In addition, the grant provided classroom equipment similar to what is used in industry and projects like the Tech-Explorer catapult. “The grant provided by Sierra College through the Sierra STEM Collaborative has opened up an exciting new world of hands-on experiences to our students,” said Gayaldo. Freshmen are enthusiastic about the applied academics catapult project that included using mills, lathes and hydraulic presses according to Tom Stargaard who teaches Tech Essentials at Del Oro. 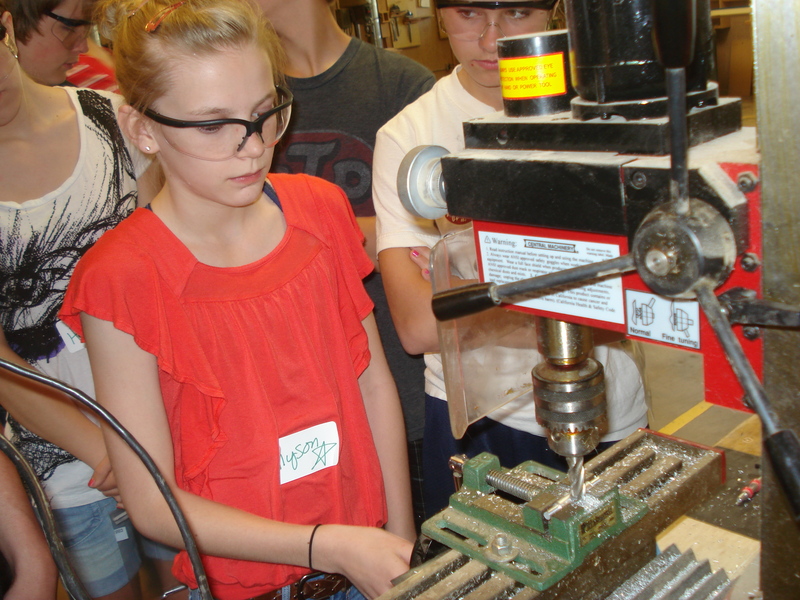 “For students who have never made something from scratch or used industrial tools, it is a very empowering experience,” said Stargaard. Sierra College’s goal is to interest high school students in Science, Technology, Engineering and Math (STEM) education and careers explained Carol-Pepper-Kittredge, Sierra College CACT director, who administers the program. “The applied learning experience exposes students to product development careers,” said Pepper-Kittredge. “If students discover an interest in manufacturing, they may want to study Mechatronics, Engineering, Welding, Energy Technology and Drafting Engineering Support at Sierra College and learn more at http://www.sierracollege.edu/programs/cte/programs.html. Local employers are actively recruiting from these programs,” said Pepper-Kittredge. 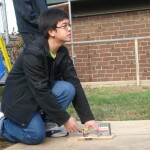 Students apply math and measurement skills to produce metal parts of the catapult using hand and power tools. Then they assemble the catapults and compete against each other to see whose ball goes the greatest distance and is the most accurate. To learn more, go to www.tech-explorer.com. The National Science Foundation and California Community College Chancellor’s Office awarded grants to Sierra College to create a pipeline of students from middle school to high school to college interested in and prepared to fill the need for skilled technical employees. For information, go to www.sierraschoolworks.com or contact Carol Pepper-Kittredge, director, Center for Applied Competitive Technologies, Sierra College, at cpepper-kittredge@sierracollege.edu or (916) 660-7801. Tom Stargaard an instructor at Del Oro High School in Loomis is using laser to allow students to customize their catapults by engraving designs into the wood base. 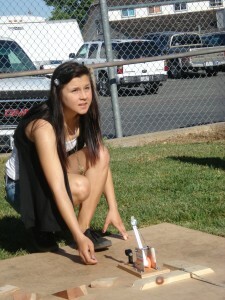 Students build the Sierra College Tech-Explorer catapult as part of the Tech Essentials Freshman class. For students building Sierra College Tech-Explorer catapults, you may find the following web sites useful in calculating the distance the ball will travel. Watch the movie showing how applied math has been integrated into the Tech-Explorer catapult project supported by Sierra College CACT, Sierra STEM Collaborative and the Sierra College National Science Foundation grant project.